Give your child a birthday they will never forget! Send them on a birthday present treasure hunt. All summer long, our youngest daughter had been telling us that she wanted a birthday present treasure hunt to find her gifts. I don’t know if it stemmed from the fact that one of her favorite movies is National Treasure, or if it is because we go geocaching and letterboxing all summer long. Whatever the reason, we were happy to make a little scavenger hunt for her in the backyard so she could search for her birthday gifts. It was a huge success! 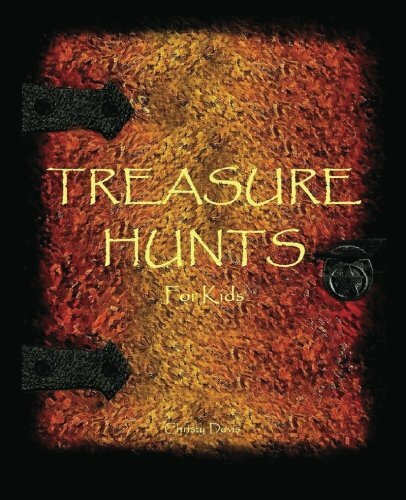 My daughter loved it and is already asking for a treasure hunt next year on her birthday. We didn’t tell her outright where the gifts were, but we made each of the clues simple enough that it wasn’t too difficult to figure out. We started by handing her a card which contained the clue to where her first gift was hidden. Then each gift leading up to the last one also had a new clue along with it. It was a blast to watch my daughter racing all around the yard, anxious to quickly discover the hiding places for all her gifts. For our kids birthday gift treasure hunt, we used a variety of hiding spots that had my daughter running all over the yard. Hiding spots we used were the sandbox, the canopy over the swingset, our garden, hanging on the clothesline behind some towels, the hose reel, and the shed. Even if you have a small yard, you probably have an abundance of spots to use to hide birthday presents. Clues for a birthday present treasure hunt can range from simple to quite elaborate. Given my daughter’s age, we went with fairly easy clues this year. Basically, “Go Here, Find Present, Enjoy!” type of clues. You could use picture clues if your child isn’t old enough to read yet. Either do a simple drawing of where the gift is hidden or take a picture of the place where the gift is hidden and print it. Use the pictures in lieu of any written clues. If you are exceptionally creative you could pose the kids birthday treasure hunt clues in a rhyme or you could even come up with a pictogram puzzle that they have to solve! 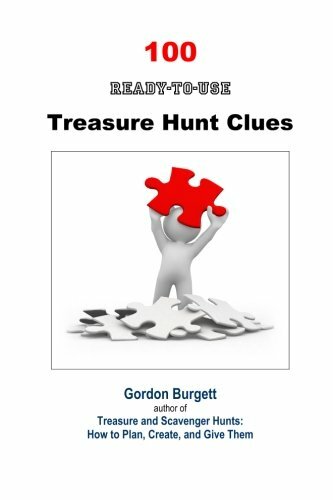 If you need more help coming up with clues, here is a great book of pre-written treasure hunt clues to check out. If your family geocaches, use geocache coordinates instead of regular clues. Be sure to hide the gifts far enough apart to take into account the accuracy of your GPS. You can either hand them a card with the first coordinates and have the birthday child enter the coordinates themselves or have the coordinates for all the gifts already in the GPS. If you choose to go with the written coordinates, be sure to include the next coordinates with each gift they find. If you have all the coordinates entered in the GPS, it might be a good idea to clear all other caches so they know how many to find and can mark each one as found in the GPS. Start by planning out where your are going to hide the gifts and write out your clues. Hide the gifts in reverse order. Hide the last gift first. Then hide the next-to-last gift (along with the clue to find the last gift). Be sure to keep the last clue separate to give to your child when the hunt begins. If you have a large or elaborate hunt, you might want to do a trial run to make sure you got all the clues in the correct order. Have a backup plan in case of inclement weather. Birthday treasure hunts are just as much fun inside! If your child can’t figure out a clue, help them out. This is supposed to be a fun activity for them – not a frustration. No matter how you set it up, a kids birthday treasure hunt can be great fun for everyone involved. My daughter enjoyed hers so much that she declared that she wants a birthday gift treasure hunt every year from now on! 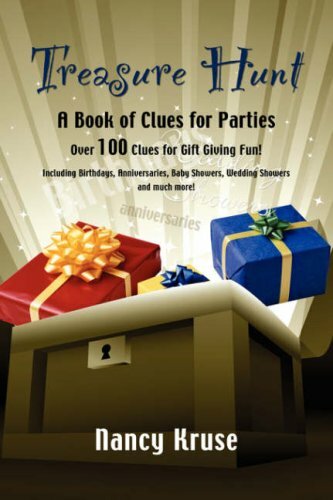 So tell me… Have you ever held a birthday gift treasure hunt for your child? What are your favorite birthday traditions?